How to upload sessions to your mobile app? 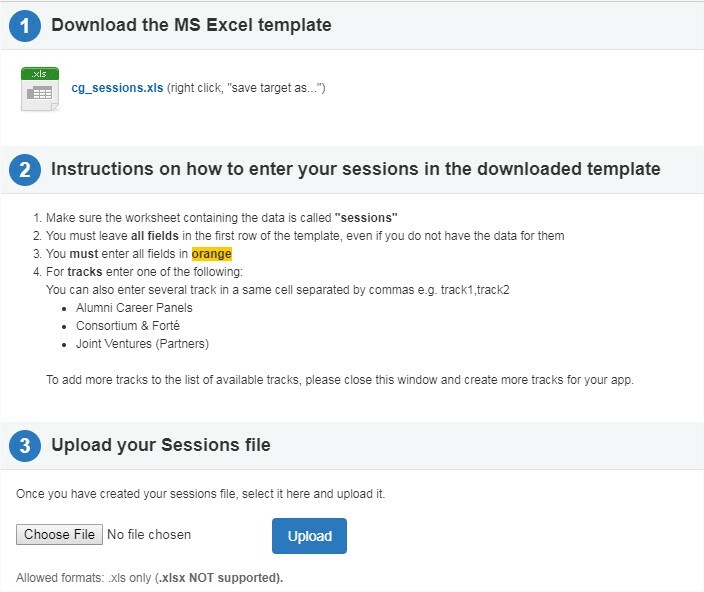 You can add multiple sessions to your mobile app at once with our Excel template. Click on the 'Dashboard' menu and then 'Sessions'. 3. Click on 'Upload Sessions'. 4. Download the cg_sessions Excel file and follow the guidelines on the screenshot below. 5. Upload your Excel file by clicking on 'Choose File', select your file and finally click on 'Upload'.